OPEN SKY GARDEN IN 20 FENCHURCH STREET BY RAFAEL VIÑOLY Archi-new - Free Dwg file Blocks Cad autocad architecture. Archi-new 3D Dwg - Free Dwg file Blocks Cad autocad architecture. Sky Garden, the garden greenhouse on top of skyscraper by Rafael Viñoly in London, opened this week. 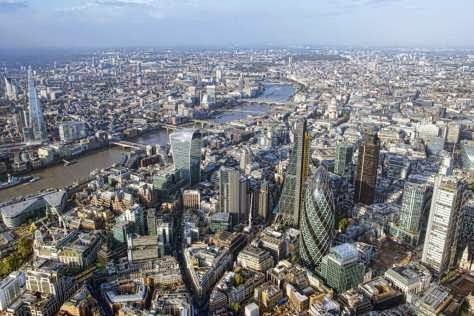 The building has 37 floors and is crowned by a Sky Garden on three levels with 45,000 square feet of high equipment area with panoramic 360 degree view of London. 20 Fenchurch StreetThere are three events dedicated spaces available as well as two restaurants and a private room. Capacities range from 16 to 250 people with the possibility to rent the whole with a capacity of 450 people. 20 Fenchurch StreetFenchurch Seafood Bar & Grill at 37, the interiors evoke the classic charm with a contemporary twist, while the menu offers only the best oysters, fish and shellfish, as well as a game of the season, meat and vegetarian dishes. In Fenchurch Seafood Bar & Grill is the Board of Viñoly, a sophisticated system private dining room for up to 18 people with stunning views over the city and beyond. Darwin Brewery at 36, overlooking the River Thames, a bar and restaurant offering classic European cuisine with the best seasonal ingredients. The concept is inspired by nature and the environment is modern and stylish. GardenSky Sky Pod Bar on level 35 is inspired by the four seasons, autumn and winter months you can enjoy delicious cocktails decorated with warm fur and faux cashmere sofa covers. The Sky Garden, which sits atop 20 Fenchurch Street, promised to be the new public park in the capital, but planners have recognized that the long-awaited Garden, which opened this week, is not "exactly what I should be. " Sky GardenSome could say the development, with its three unique restaurants is not really a garden at all, but "an observation deck with some trees." It was also critical to the perceived aspect of "public space" when knew customers pay only be allowed into the garden after 18 hours.